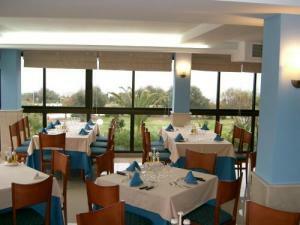 The Cabo Cevera Hotel in Torrevieja is a three star hotel which is ideally located within 200 meters of the beach. 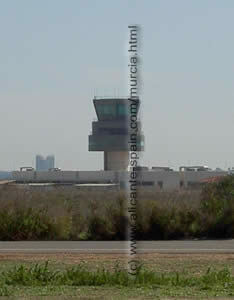 It is also just 5km from the town centre of Torrevieja. The hotel has 188 rooms ( check prices and availability here ) each of which has its own private bathroom with balcony, some of these rooms overlook the sea or pool. All rooms have air conditioning, satellite TV, telephone and mini bar. The rooms are cleaned by maids on a daily basis. There are also a lot of facilities at the hotel which will benefit you including a buffet restaurant, reception, laundry service and a safe. There are also conference rooms and one swimming pool. You can stay at this hotel on bed and breakfast, half board or full board basis depending on your preferences. Being located right next to the sea the hotel has some lovely temperatures all year round, it also means that you are able to benefit from some of the services that a large city like Torrevieja has to offer. The hotel has magnificent facilities and dynamic helpful staff who are devoted to making sure your stay is a happy one. The Cabo Cevera also has a business suite, providing faxing, audio/visual equipment, printer, computer, and meeting rooms. You can also connect to the internet using your own computer through a wireless network for free if you have a wireless enabled laptop. It has plenty of features to keep your kids happy, they even have their own pool! Younger children can have a cot or extra bed if you request it in advance. There is also a children’s play area so that they’re not tripping you up all the while! Some of the rooms are accessible for disabled people however you should request this at the time of booking so that they can make the necessary arrangements. The hotel has air conditioning throughout the common areas, a night porter, landscaped gardens, currency exchange service, internet access, banquet rooms, luggage room, and terrace. The parking in the hotel is free, and they also offer an express check out. There is an outdoor swimming pool, gym, steam room, billiards room, table football and games room in the hotel which should be more than enough to keep you entertained! There is also very easy access onto the beach. All of the rooms have their own private bathroom, telephone, air conditioner, safe, hairdryer, satellite TV and plenty of complimentary toiletries! The El Mirador restaurant is open every day and serves a buffet style menu. 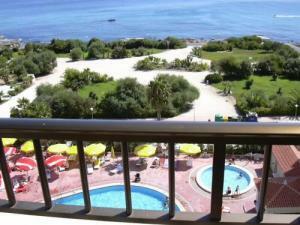 The restaurant overlooks the beach and swimming pools which create a very nice look. When arriving at the hotel you should check in before 2:00pm and check out by 12:00 noon when leaving.